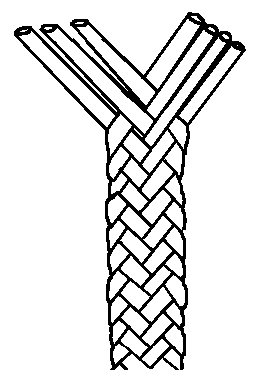 This is a "flat plait" and is known as the Dunstable Plait (named after one of the towns involved in producing straw plaits for the hat industry). "Over one, under two, pull it tight and that will do." Plait from the front. Back of the plait. Before you start make sure the straws are pliable. If they have been stored for a time they will need to be dampened. To do this put the straw in a container (like a plastic garden trough) and cover with warm water. 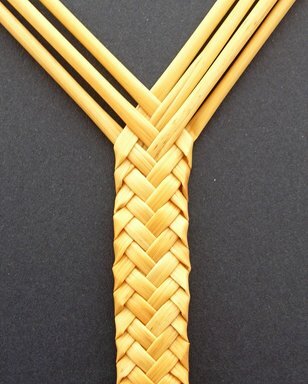 Leave for a few hours until the ends of the straw bend without breaking. Try not to get the straw too wet as it will be limp and lifeless. When you are working with the straws keep them wrapped in a damp towel. Tie your seven straws together using a Clove Hitch and divide them, three on the left side, and four on the right hand side. 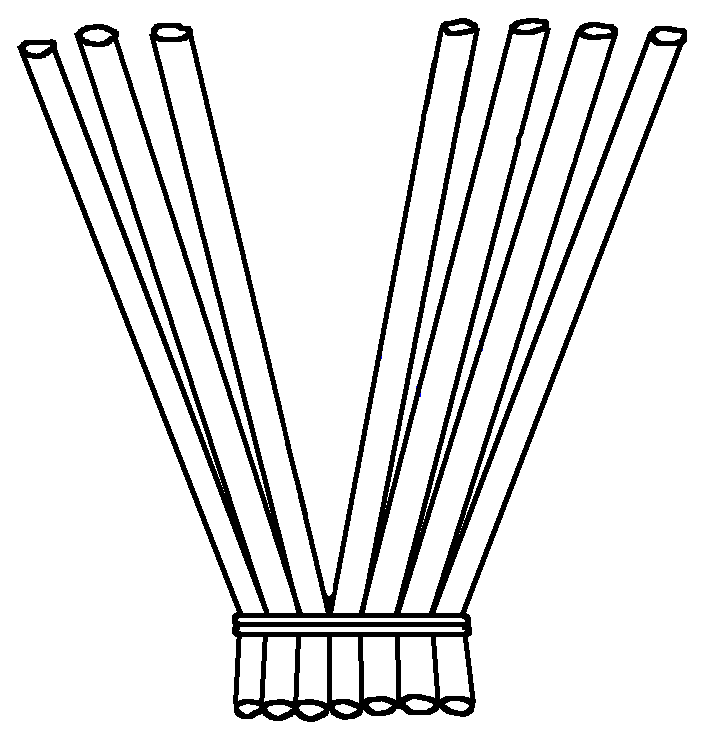 With the group of four, take the very outside straw on the right, pass it over the next one, then under the next two, so that it goes over to the left and becomes the inside straw of the left-hand group of three (so you've then got a group of four straws on the left hand side). You would carry on like this, but would need to add more straws as they get used up. 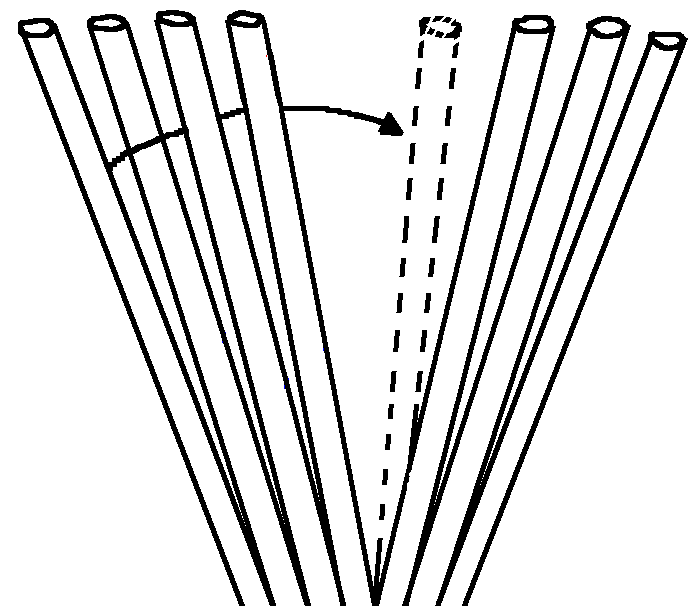 The straw will gradually become shorter and shorter, so you will need to add more straws. 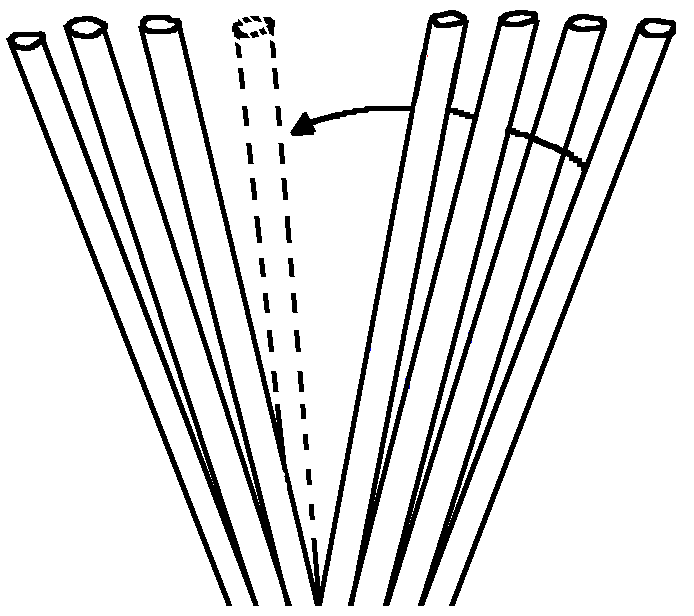 Insert a new straw (as shown in the diagram above). 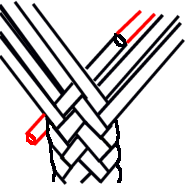 Do not cut off the ends until the plait is dry. 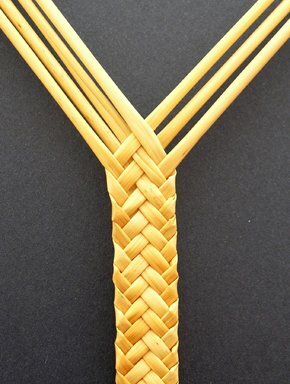 Use this link to get a list of Straw Suppliers who may be able to supply you with the straw that is suitable for plaiting. Most of these Books will have a section on straw plaiting. If you would like to find out about the Straw Hat industry the web has many links that you can follow. The following books are worth searching out. Click here to download a printable version of this project using Acrobat Reader software.